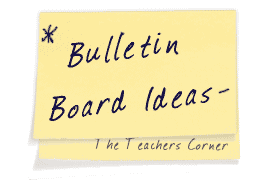 Our Reading Bulletin Board Ideas page will provide you with great resources for a number of reading related topics. Our bulletin boards will help you integrate various activities into your daily curriculum. Ideas within the reading bulletin board pages include resources for the following: literary Elements, various reading genres, reading clubs, and phonics. 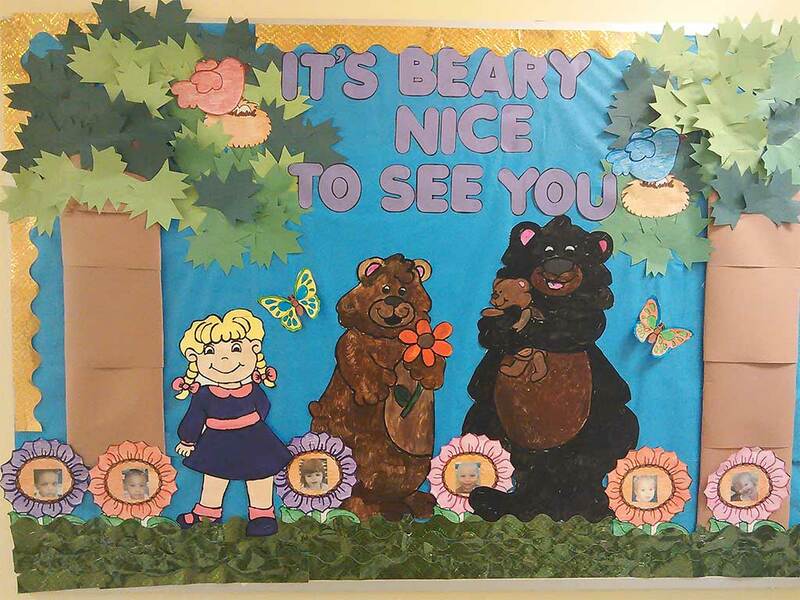 This is a board of Goldilocks and the Three Bears. The trees were made with construction paper and cardboard. The characters were hand drawn and painted. The flowers were from a lesson planning book. Integrate some technology into your reading class. Use the software program called Comic Life to help your students create book reports on their favorite books. Allow them the chance to take photos of the book’s illustrations to include in their document. Within the speech bubbles and caption boxes, students will write their information. Elements to include in the book report: title, author, characters, setting, and main events. 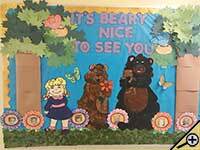 The library theme for the entire school year was “Fiction to Film.” The background for the bulletin board was a marquee with poster frames on each side. Each month featured a different genre and I changed the posters to coincide, one side the book and the other the film. If I didn’t have posters I would display books or video cases. This is a great bulletin board or display to make during the Spring. (Reading can need a little motivation this time of year.) Draw and cut a large blowing cloud. Have the kids make their own kite by using black construction paper for the frame work and then add colored tissue paper to fill it in. As the students read a book, they add a triangle shape to the tale of their kite. On the the shape, they write the title and author of their book. Prior to creating the bulletin board (left photo), you will want to read each book to your students. Make a copy of each book's front cover. Finally, create your headings and venn diagram. After reading the books, students will vote for their favorite book. They will write their name in the appropriate area of the venn diagram. You can use any type of background paper or fabric for this bulletin board. You could also have students write statements about the books and/or their reasons for liking a specific book on sentence strips and add them to the display. For Chicka Chicka Boom Boom....we have the kids draw coconut trees and then glue Alphabits cereal going up the sides if the trunk. You could also use stickers with letters of the alphabet. 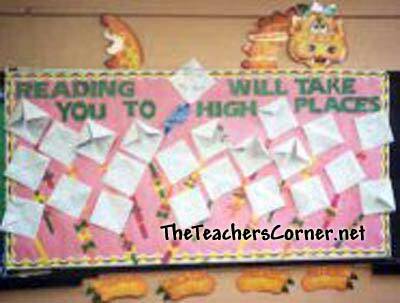 Be sure to visit our Fall page for some great reading board ideas. Background color... Bright sky blue with a bright green low rolling hill at bottom third of board. A large white rabbit hops across the board carrying a basket of books. Other books are bouncing out of the basket with titles, authors, and cover illustrations displayed. Students could even create their own favorite book covers to display. 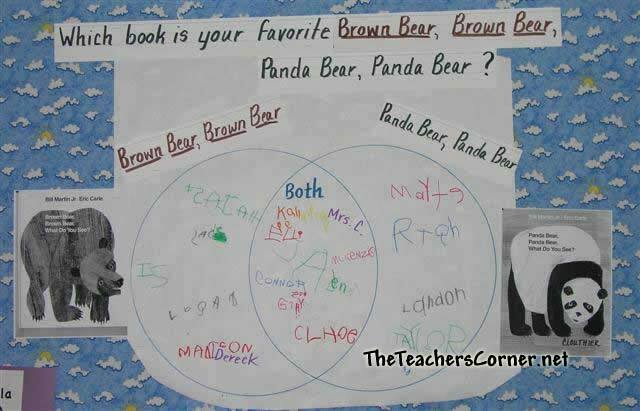 As students develop their literacy skills, allow them to display what they can read. 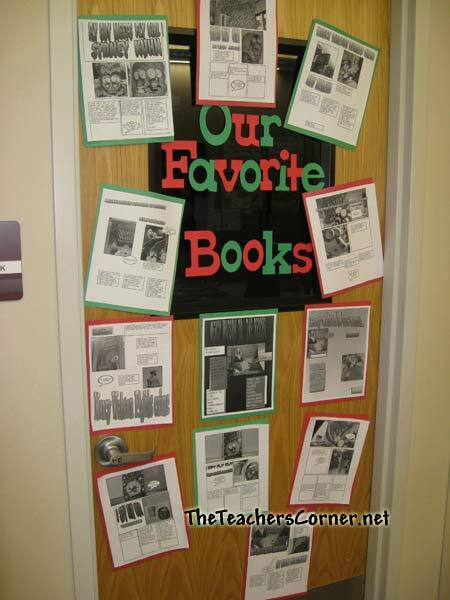 As they master environmental print, students can post their favorite reading items on a wall in the classroom. 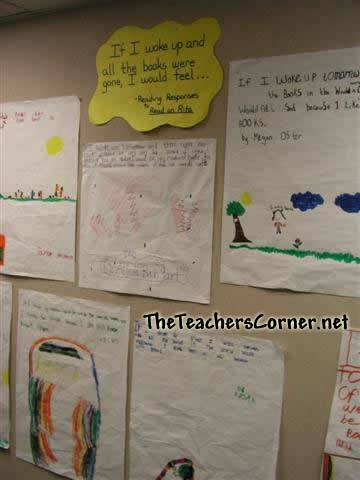 This bulletin board is based on reading responses made by students to Read on Rita. After reading the book, students write their response to this question: "If I woke up and all of the books were gone, I would feel..." As an interactive writing lesson, students write their responses on chart paper. It's a BB that will last all year, to show books we have read in class, either by me, the whole class or during Silent Reading. To start, I made up a BB to look like a book shelf. I will put a coffee can below it, full of different color paper strips, cut about 7"x2", but not all the same size. We will make a key, so that each color will represent a different genre (mystery, history, non-fiction, etc.). As a student finishes a book, s/he will take the correct color strip and write the title of the book on it. They can also put 1, 2, or 3 stars at one end, to show how much they liked the book. Then it gets stapled on the "shelf" so that it looks like a book on a shelf. 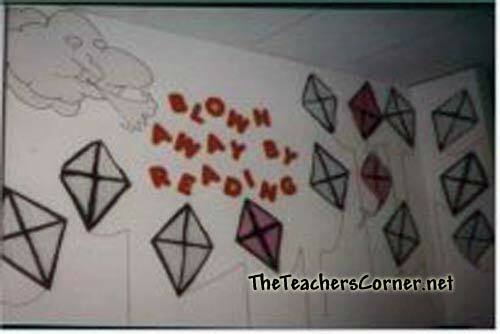 This way, students can get ideas on what to read and will show visitors what great readers we are. By the end of the year, it will look great. Please use the email link at the top of this page to email us your favorite Reading Bulletin Board idea!